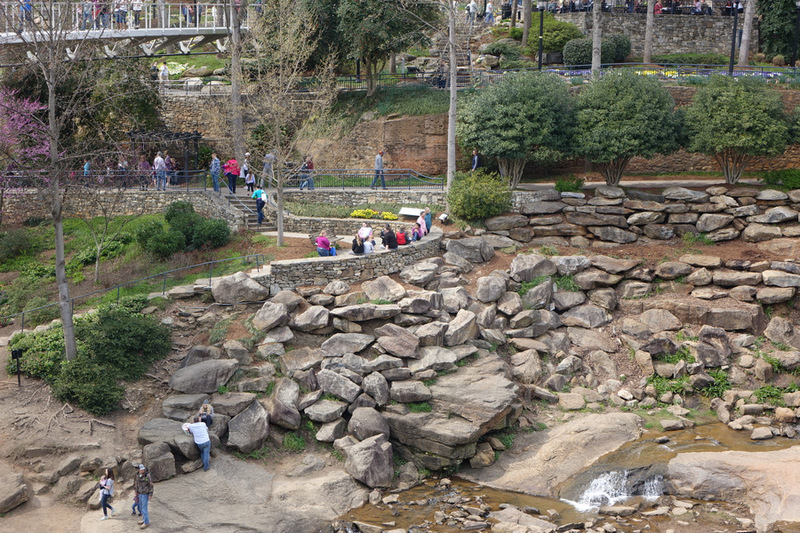 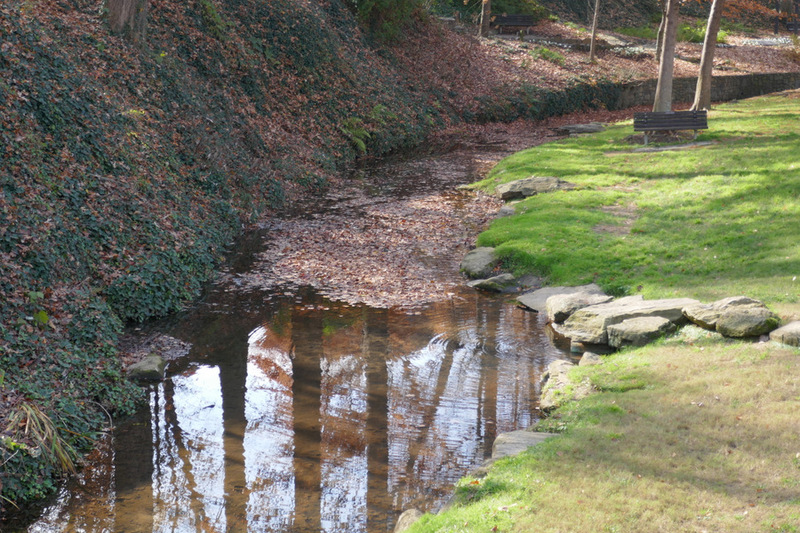 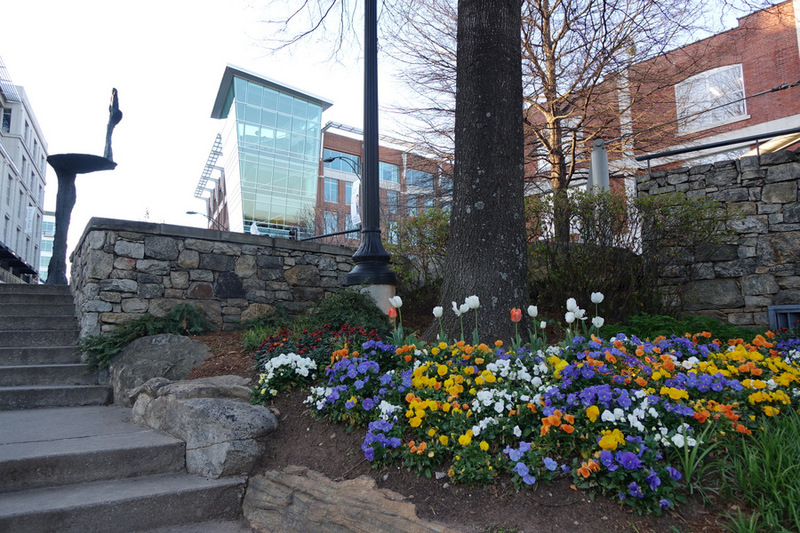 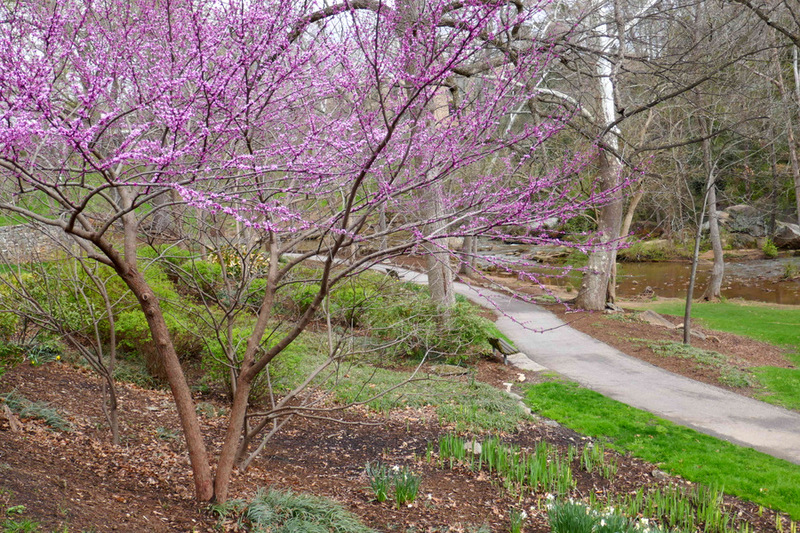 A view of some color appearing in Falls Park. 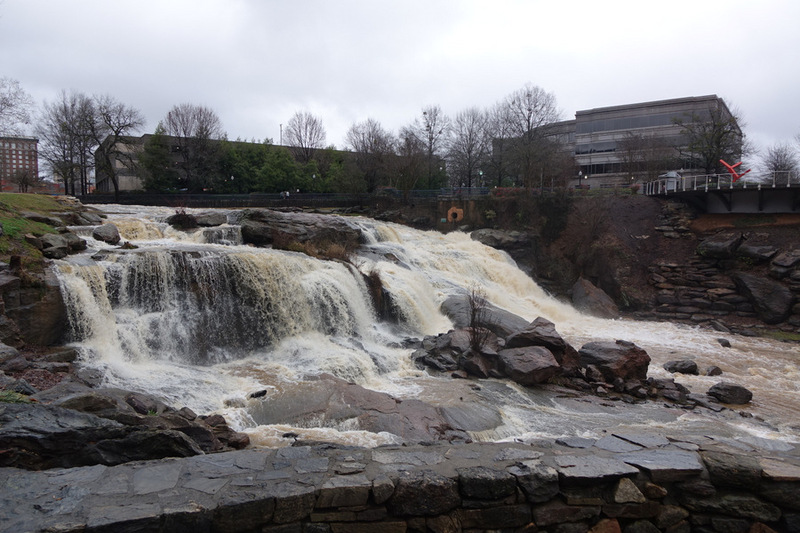 Reedy River Falls is nearly full after some recent rains. 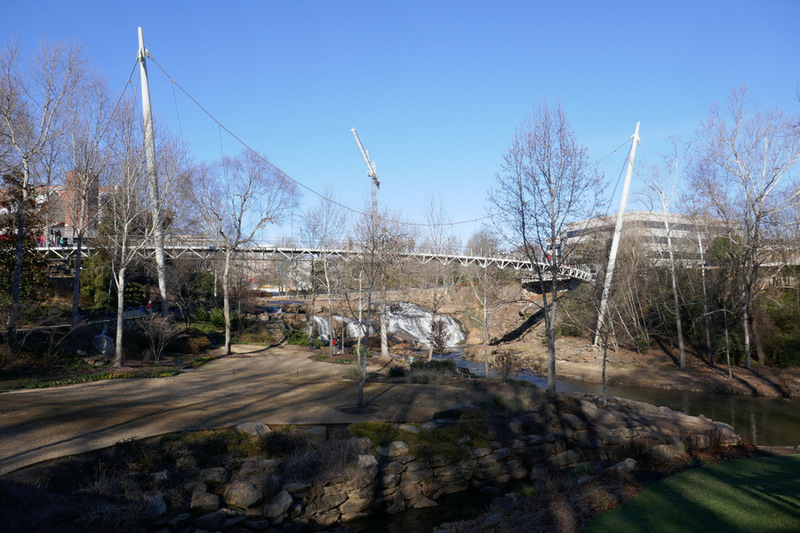 Liberty Bridge as seen when leaves are off the trees. 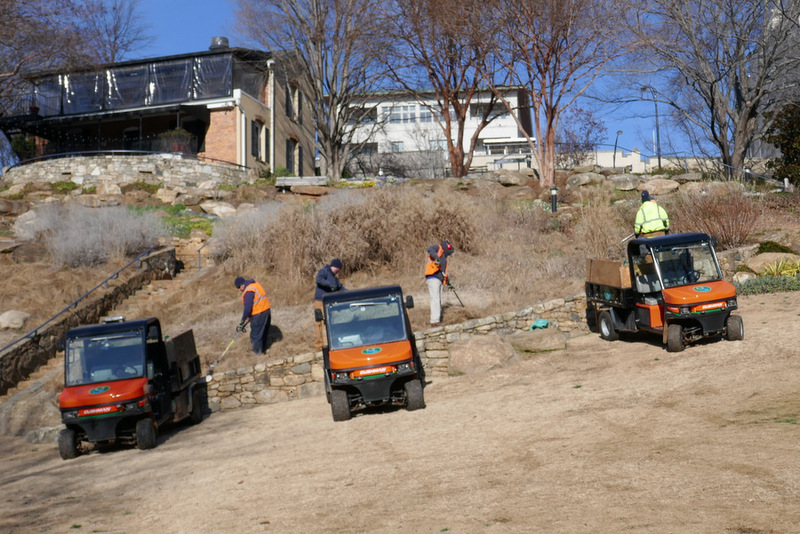 It takes much work to maintain parks and grounds around town, and today is no exception – even in the winter in Falls Park. 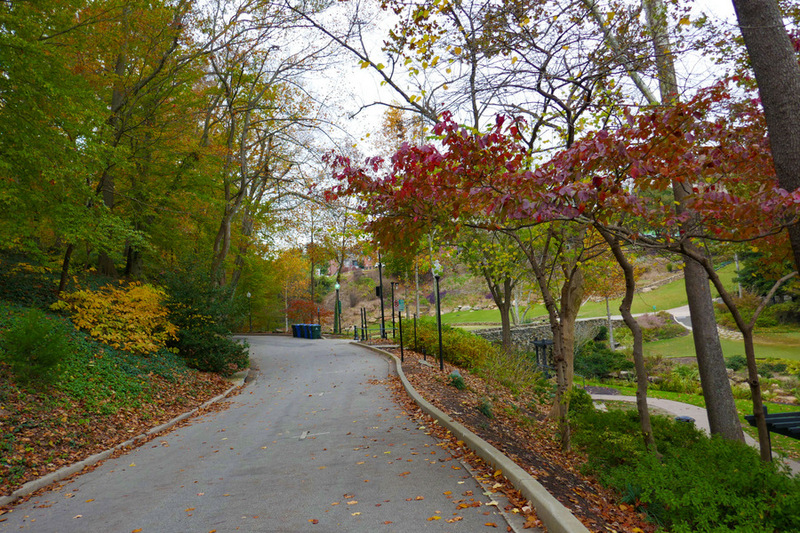 The last of the leaves in Falls Park. 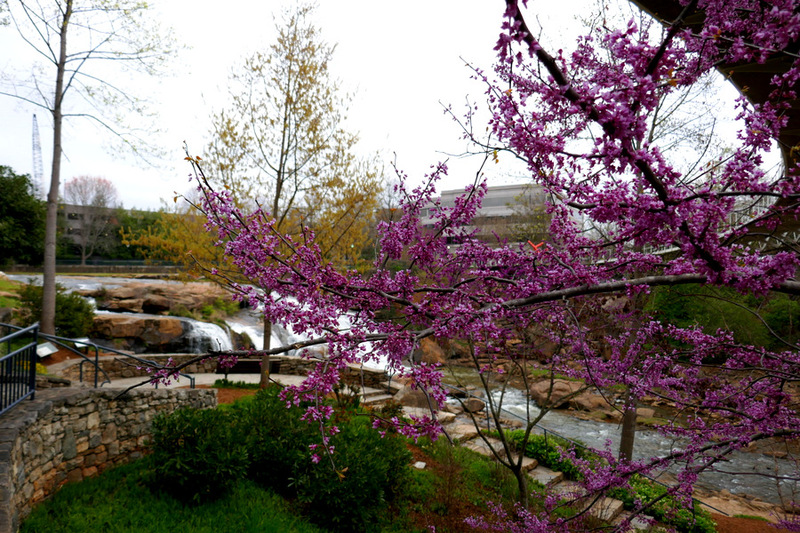 There are a few splashes of fall color along Furman College Way in Falls Park. 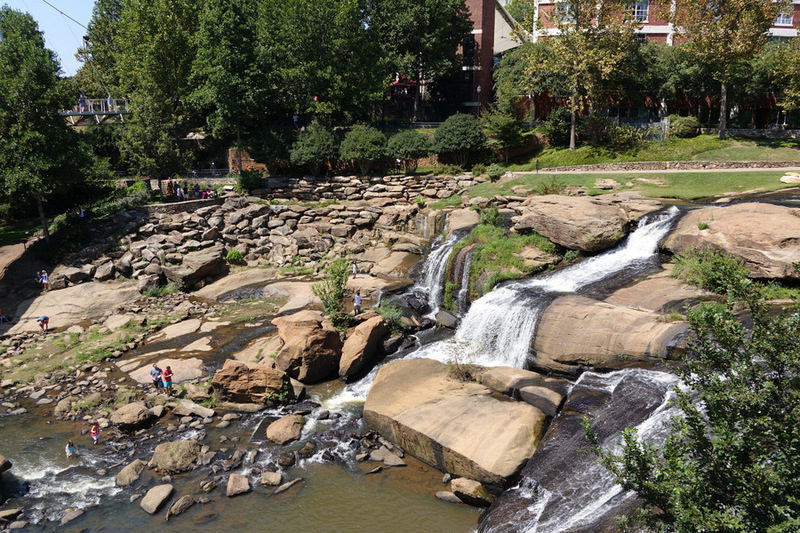 Falls Park on a sunny day.